The Nuclear Information Center (NIC) provides an insider’s look into nuclear energy. Written by experts from Duke Energy's nuclear fleet, NIC articles feature nuclear industry insights including the benefits of nuclear energy, community events, emergency planning, videos and more. By reliably providing power 24 hours a day, nuclear energy is an important part of our energy mix in the Carolinas. And, it's our nation's largest source of carbon-free electricity. 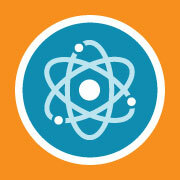 Learn about how nuclear plants work. Duke Energy operates 11 nuclear units at six sites in North Carolina and South Carolina. Together, these facilities can generate about 10,700 megawatts. Duke Energy’s nuclear plants generate about half of the electricity for our customers in the Carolinas, with production costs among the lowest in the nation. Learn more about each of our nuclear facilities.